A mother cat plays with her two kittens in the street at the mobile home park. All three of the cats were trapped and neutered or spayed, and returned home the following day. An orange kitten trapped in the mobile home park is sedated while still in the trap. A volunteer from Friends of Felines pulls burrs and fleas off of the orange kitten following his neuter. The cat is still sedated, allowing the staff to do a full check up without the danger of being scratched or bitten by the feral kitten. The cats traps are carefully identified by colored bands marking their colony and gender. The labeling system helps ensure each cat is returned to the proper location. A sterile clamp is placed on the left ear of each cat following sedation to ear tip the animals. Dr. Michelle Townsley, the director of the veterinary clinic and the Kansas Humane Society spays one of the cats brought in by Friends of Felines Kansas. Five of the cats are lined up to be returned to their colony in the mobile home park. Sue Schamp in her car. She likes them so much, in fact, that she’s sitting in her car at 6 a.m. on a recent Saturday morning, parked in front of a mobile home trying to catch them with a "here, kitty, kitty, kitty..."
It’s already hot outside, but her window is open just enough for a string to hang out the side. The string connects to a stick that supports a peculiar trap that she hopes will catch a feral cat. It's the first step in what Schamp says is the only proven method to control the population of free-roaming, or feral, cats: trap, neuter, return. It's an alternative to the common trap-and-kill method. 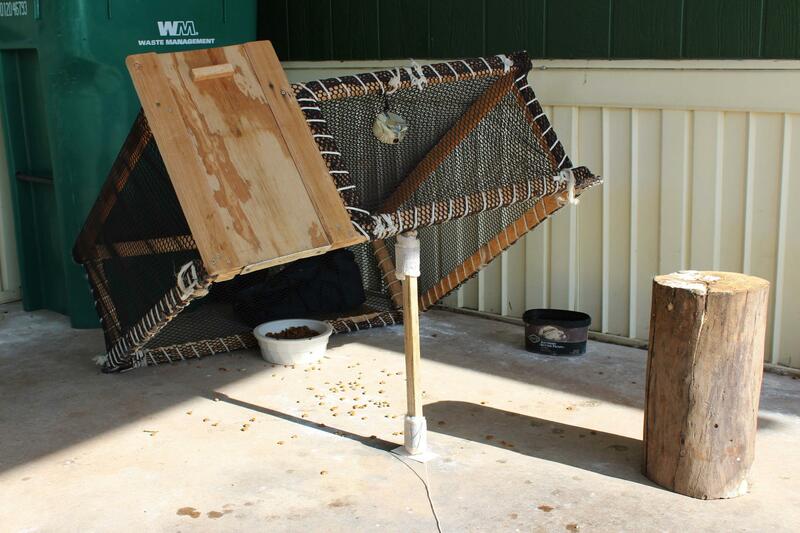 A drop-trap for catching feral cats. 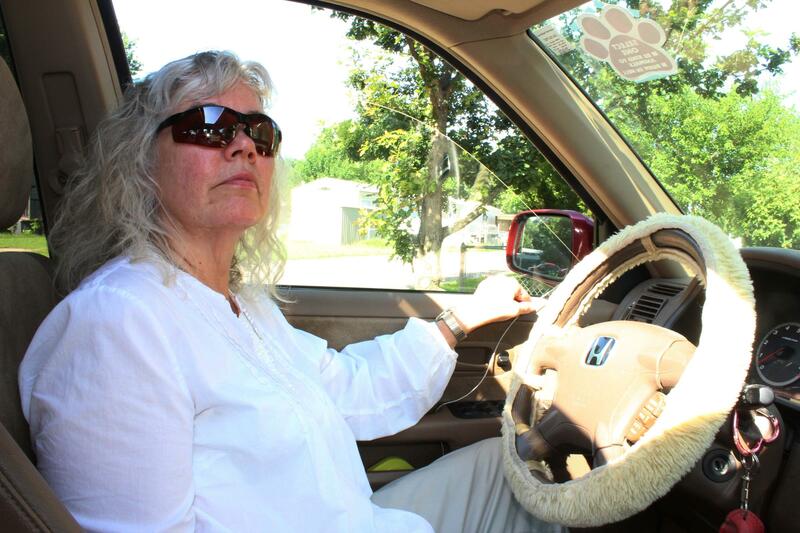 Schamp is the coordinator for a local non-profit called Friends of Felines Kansas. The group humanely traps feral cats, have them spayed or neutered at the Kansas Humane Society in Wichita, and return them to their colony--all in about 48 hours. Trap and kill doesn’t work, she says, because once one cat is gone, others just move in and take its place, and continue breeding. According to Schamp, an estimated $250,000 in taxpayer money was spent in 2013 by Wichita Animal Services to trap, cage and ultimately euthanize feral cats. Schamp’s wooden cat trap is lightweight and covered with netting. There’s a cat-sized door on the front and a bowl of food toward the back. A small gray kitten wanders toward the bowl and starts eating. She throws a sheet over the trap to keep the kitten calm and places a metal trap door-to-door with the covered drop trap. To the kitten inside, it's supposed to look like an exit tunnel. After a minute or two, the kitten makes its way into the new trap. 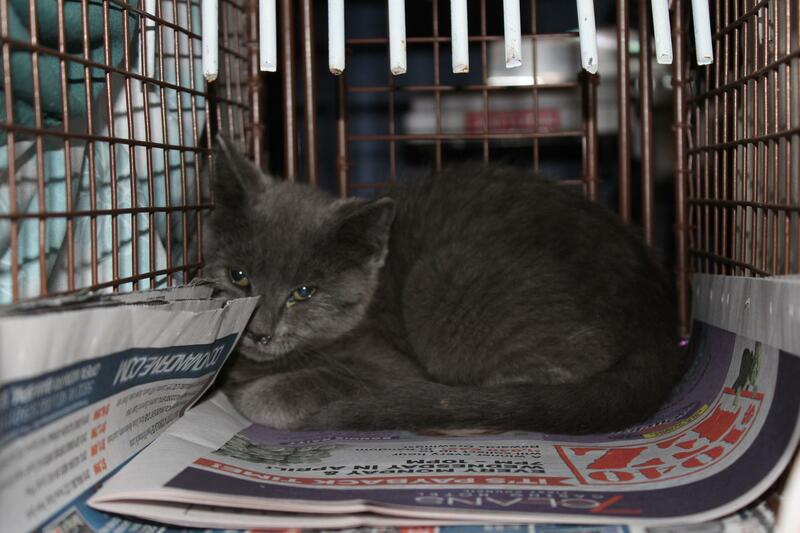 A grey feral kitten is transported from its colony, where it will be returned after being spayed and ear tipped. The mobile home park where Schamp is trapping is part of a targeted geographical location. Using a $5000 grant from the American Society for the Prevention of Cruelty to Animals, Friends of Felines Kansas is working to trap, neuter and return, or TNR, as many cats as possible in this area. The humane society charges $47 for each procedure done on a feral cat. Each cat is also given a rabies shot. To this point, Schamp estimates the group has already trapped 128 cats in the area. Schamp has been in contact with residents here who feed the cats outside of their homes. She calls them caregivers. A woman named Pat is the caregiver for the kitten that we trapped, along with about 19 more. Pat says she heard about Friends of Felines last year, and since then they have trapped, neutered and returned 16 of the cats she cares for. The 29 cats trapped by Friends of Felines during their June trap, neuter, and return weekend are lined up according to gender outside of the Kansas Humane Society. The following morning after the cats are trapped, they are taken to the Kansas Humane Society. They are kept in individual wire traps covered with a sheet so they feel safe and secure. Schamp and her volunteers keep clean newspapers in the bottom of each cage. There is also fresh food. Dr. Michelle Townsley, the director of the clinic, has performed more than 90,000 spay-and-neuter operations in her career and is adding 29 more to her list, delivered by Friends of Felines. She says the cats are given a pain killer and sedative prior to surgery. Dr. Townsley, a self-proclaimed fan of TNR, says the trap-neuter-return method is the only thing that works to reduce the numbers of feral cats. “If you spay and neuter you stabilize the little community of cats and they're healthier. They may live longer, but they’re not producing young," she says. The ASPCA and the Humane Society of the United States also support TNR, as do more than 300 local governments nationwide. A countywide TNR program in Cook County, Ill., which includes Chicago, reduced the size of feral cat colonies by 41 percent in just five years. From 2008 to 2012, a nonprofit program similar to Friends of Felines Kansas trapped, neutered and returned more than 17,000 feral cats in Cook County. The group estimates that it prevented the births of tens of thousands of kittens in the area. The ordinances in Wichita, though, still follow the trap-and-kill procedure for feral cats. Lt. Steven Kenney of Animal Control says not all of the cats they receive are euthanized. "It depends on the cat," Kenney says. "If it's a feral cat that’s not been socialized at all, then we have limited options other than for euthanization. If it's adoptable then it's placed with the Humane Society and it's adopted out." He says TNR programs could be an option in the future for Wichita, but there are two big limitations. "No. 1 is, as a homeowner, I call 911 and make a complaint that there is a colony of cats living next door to me that's causing damage to my property," he says. "As a homeowner, I don't want the city to come out and trap the cats, neuter the cats, then take the cats back and drop them back off because that doesn't solve my problem." The next big hurdle is, of course, money. A feral cat is returned to its colony, its ear tipped to signify it has already been trapped and neutered/spayed. 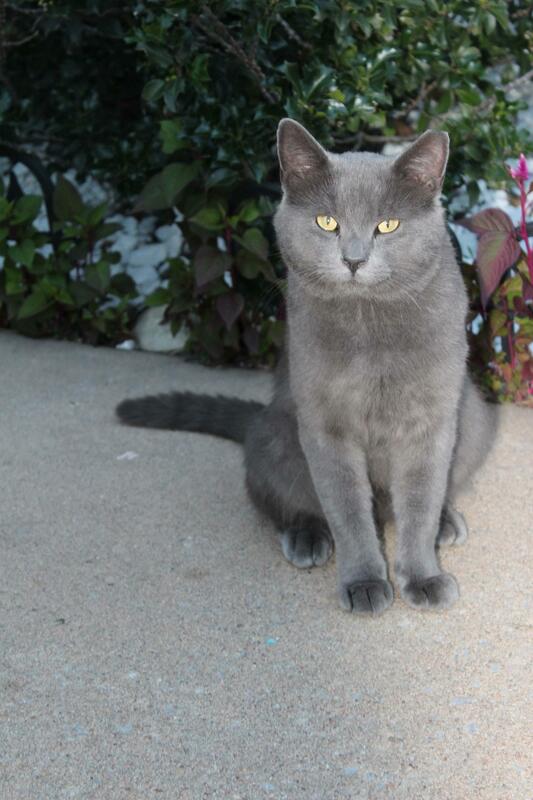 He also says animal control does not go out and actively seek stray cats. That being said, Sue Schamp with Friends of Felines says the trap, neuter, return method addresses some of Kenney's concerns. After all 29 of the cats trapped by Schamp and her volunteers are sterilized and vaccinated, it’s time to take them back to the mobile home park where they were trapped. Each cat's left ear is tipped during surgery so they can be identified from a distance as having already been spayed, neutered and vaccinated. Friends of Felines plans to continue their targeted TNR and expand operations into different parts of the city. In the meantime, Wichita Animal Control will continue answering nuisance calls related to feral cats. Same end goal--different means.